What is Laser Hair Transplant? Hair loss has become more common than it was ever before. Whether you want to blame it on to your ancestors, unhealthy lifestyle, lack of nutrition in your diet or lack of a proper skin hair care routine, it has become a reality of the today’s world. Nearly, all of us have struggled with hair fall at some point. If you have progressed from hair loss to baldness and have lost all the hope, you have come to the right place. Lucky for you, you have been born in a time where almost anything can be fixed whether it’s your nose, hair or body. Laser Hair Transplant in Rawalpindi, Islamabad & Pakistan has taken over the world in the past few years. More and more individuals, especially celebrities are using the miracles of hair transplant to restore their crowning glory. The best part about getting a Laser Hair Transplant in Rawalpindi done is its natural look. You’ll be able to cut, style and color it just like your normal hair. 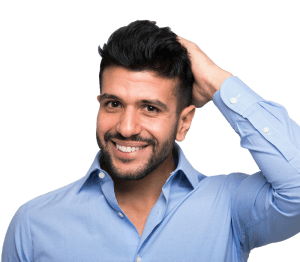 Also, known as strip extraction method, FUT Laser Hair Transplant in Islamabad allows extraction of a strip bearing hair follicles from the back or the sides of the scalp. 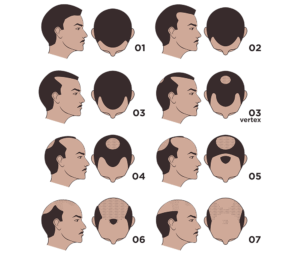 This area is usually baldness resistant and is known as donor region. Individual follicular units are carefully extracted from the strip and are then implanted to the recipient’s area. It is a minimally invasive procedure that allows extraction of individual hair follicles from the donor region and implanting them to the bald regions. It is a more preferred option for those who have massive intolerance for scarring and cannot take a long time off from work. Graft insertion: Once recipient area has been prepared, surgeon carefully inserts donor grafts into tiny incisions to conclude surgery. While Laser Hair Transplantation Surgery in Rawalpindi & Islamabad and elsewhere is certainly the best option for restoring unwanted hair permanently, some individuals cannot undergo Laser hair transplant surgery die to various health issues and problems with donor hair supply. For, those individuals, non-surgical options come into action. Here is a list of the best non-surgical options for hair restoration. PRP Therapy- Also known as platelet rich plasma therapy involves use of your own blood to stimulate dead hair follicles. Mesotherapy- A concoction of vitamins, minerals and enzymes that is injected into your scalp to boost the hair growth. STEMCELL therapy- It combines the stem cell extracellular technology with the benefits of PRP and acts as a power packed treatment for your hair.